What is the Patrons’ Show Fundraiser? 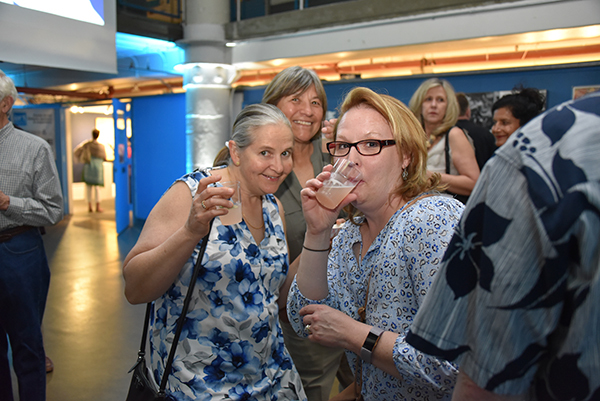 The Art League’s Patrons’ Show Fundraiser is an experience that’s part fundraiser, part block party, and totally fun. 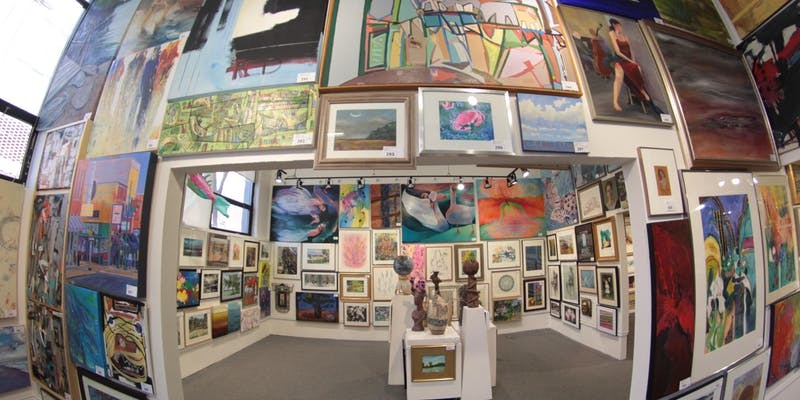 It’s The Art League’s biggest fundraising event of the year, and it provides seasoned art collectors and newcomers alike with the great opportunity to acquire high quality, original fine art at a bargain price while supporting a great non-profit organization and community of artists. For each ticket drawn, ticket-holders go home with a work of art valued anywhere from $225 to upwards of thousands of dollars. This annual event features 600+ works of original fine art donated by Art League and Torpedo Factory artists, and the number of tickets sold matches the number of works donated. The show may be viewed in The Art League Gallery and online two weeks prior to the drawing. Ticket-holders fill the gallery during these two weeks studying the artwork and noting their favorite pieces, so they’ll be prepared to select from the available artwork when their names are drawn. On the evening of the Patrons’ Show Fundraiser drawing (Sunday, February 18, 2018), the excitement is palpable. Tickets are randomly drawn and when the name of each ticket-holder is announced, they may select a work of art from the show that they wish to add to their collection. In addition to the artwork, ticket holders may win other valuable prizes donated by local businesses. All proceeds go to benefit The Art League’s educational programming, exhibits, and community outreach programs. Please contact The Art League Gallery (703-683-1780) for more information about this entertaining event.